The market place is continually changing. The needs and wants of a new generation of consumers can be surprising and unintuitive. Farmers market customers want samples of fresh fruit and vegetables, and kids are more likely to eat fresh apples if they are pre-sliced. A consumer survey conducted by the University of Kentucky found that farmers market shoppers desired samples of food more than other possible services that a farmers market could offer, including debit card acceptance and expanded market hours. The study also found that fifty five percent of the customers who tried a sample purchased the sampled product that day and another 17% planned to buy the product in the future. Fruits and vegetables products were the top items that people were willing to sample. If you are a vendor of fresh produce, you may want to consider this marketing opportunity. Incorporating sampling into your business routine may sound daunting, especially since samples should be prepared in an approved, inspected facility or prepared at the market with an approved washing facility. However, if you are able to attract new customers or stimulate sales by offering samples, it might be worth the effort. Also along the lines of cutting up fresh fruits and vegetables, a study in Wayne County, New York found that kids are more likely to eat apples if they are sliced. Cornell Cooperative Extension launched a study to determine effective ways to boost local food consumption in middle schools. By working with school Food Service Distributors, different techniques for serving apples were tested. It was found that slicing the apples instead of offering them whole resulted in a 73% increase in apple consumption. Food Service Distributors reported that single serving packages were the most convenient way to display the apple slices in lunch lines and in vending machines. One of the researchers spoke at a conference recently about this study and a tool that she discovered during her work in Wayne County. She recommended a kitchen tool called a sectionizer, which cores and slices fresh fruit in one swift motion. A variety of peaches to sample at a farm retail store. Given the new research showing that children and adults alike are looking for those freshly sliced fruits and vegetables, you may want to consider a sectionizer for your marketing and packaging. Produce samples should be kept at 41⁰F and covered. Speak to your local food inspector about your set up in order to provide safe, fresh samples of your fruit and vegetables. 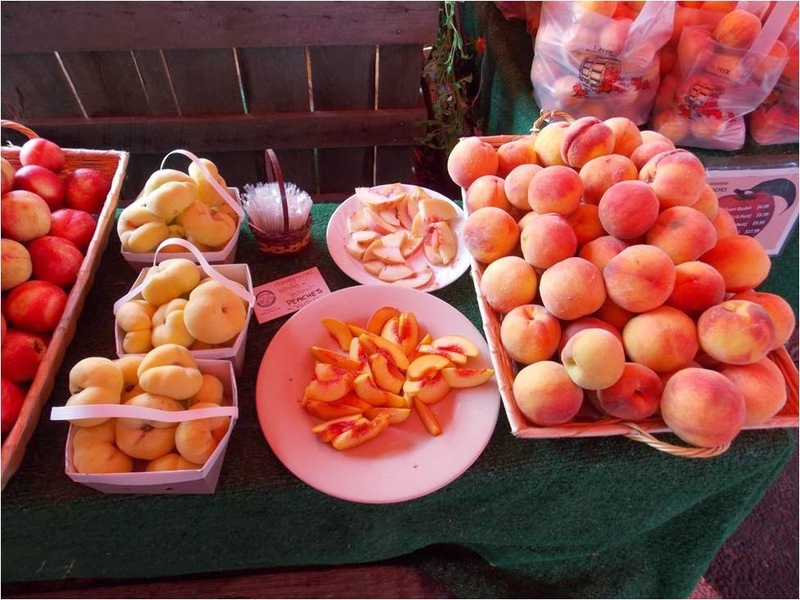 Your market may be interested in trying pooled sampling, in which several samples from different vendors are prepared and offered at one table in the market.